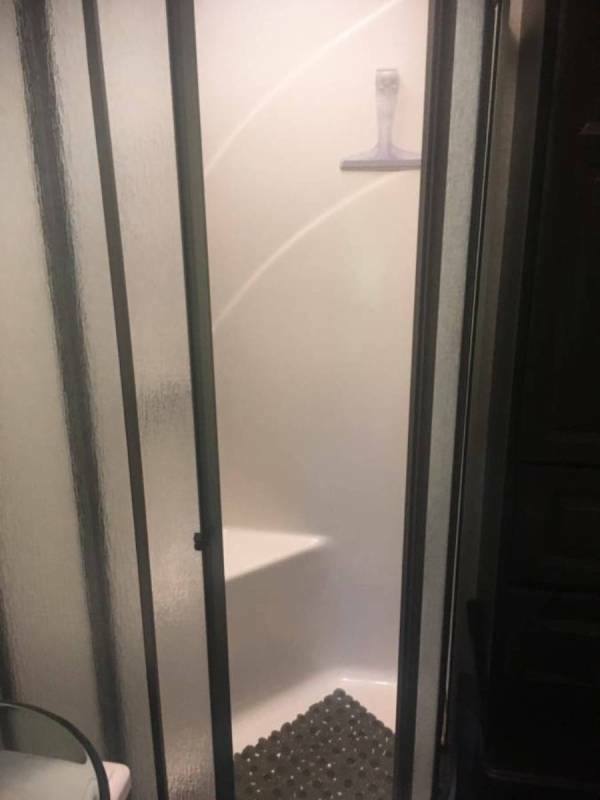 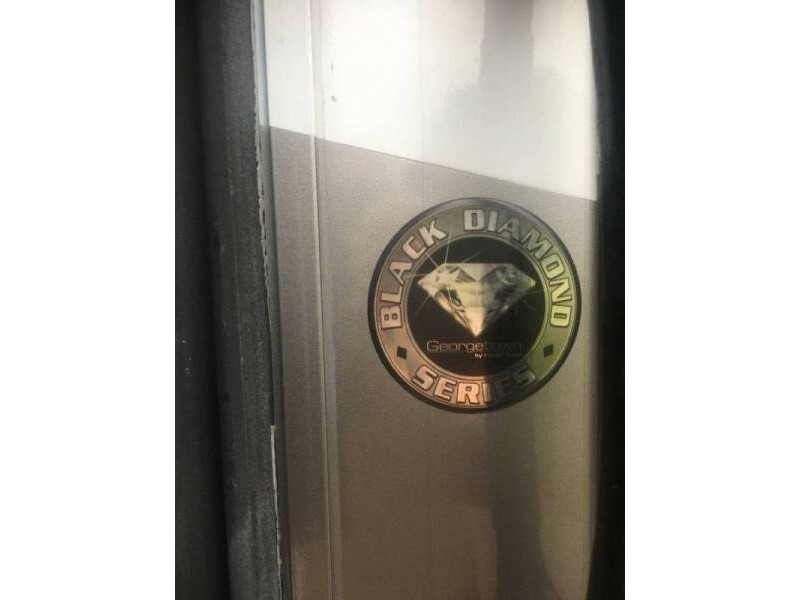 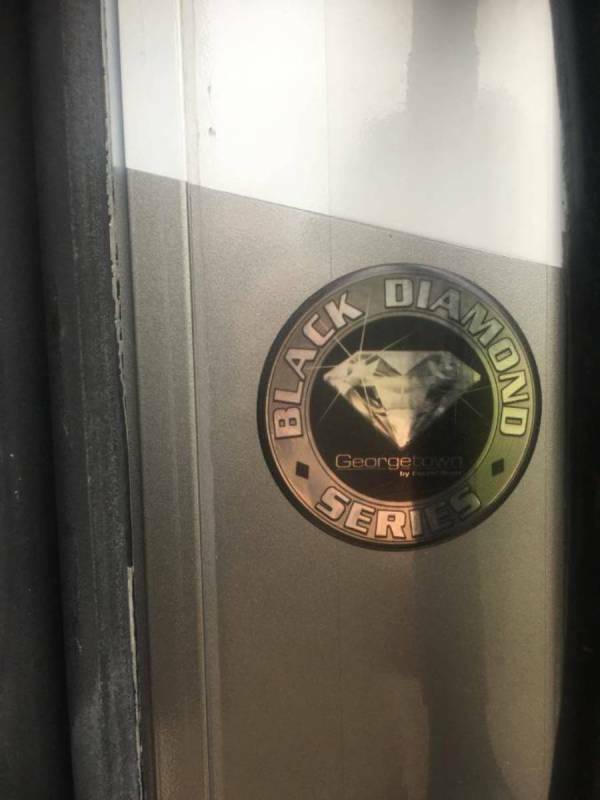 This is a 3 year old Black Diamond Series beauty. 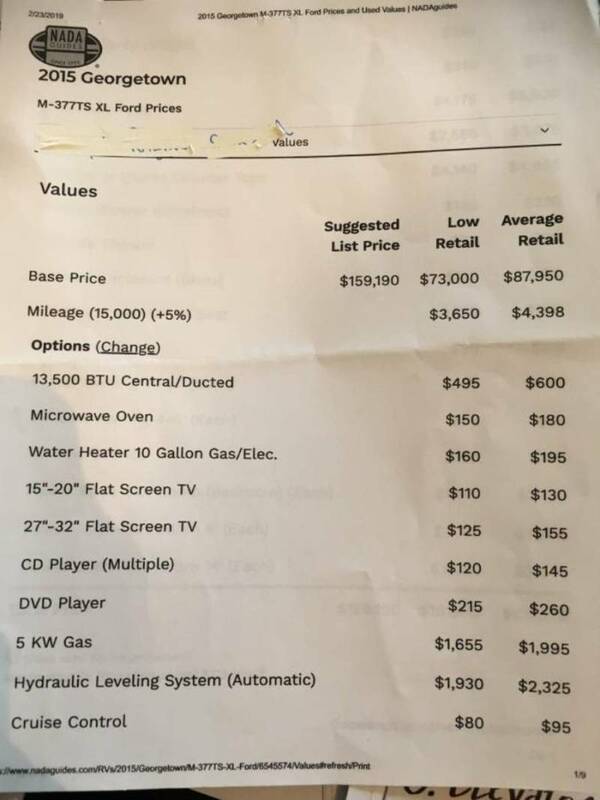 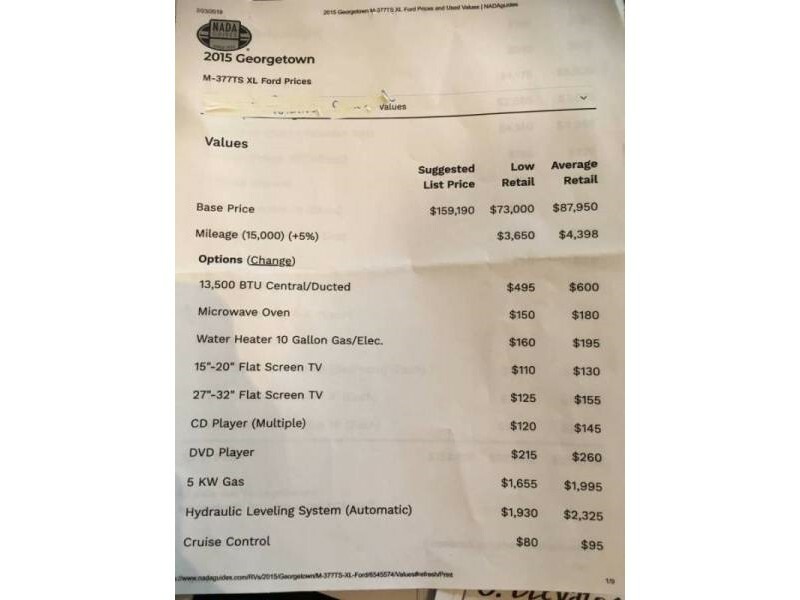 We transferred with our jobs for the last 3 years and lived in it mostly so the mileage and engine hours are very low. 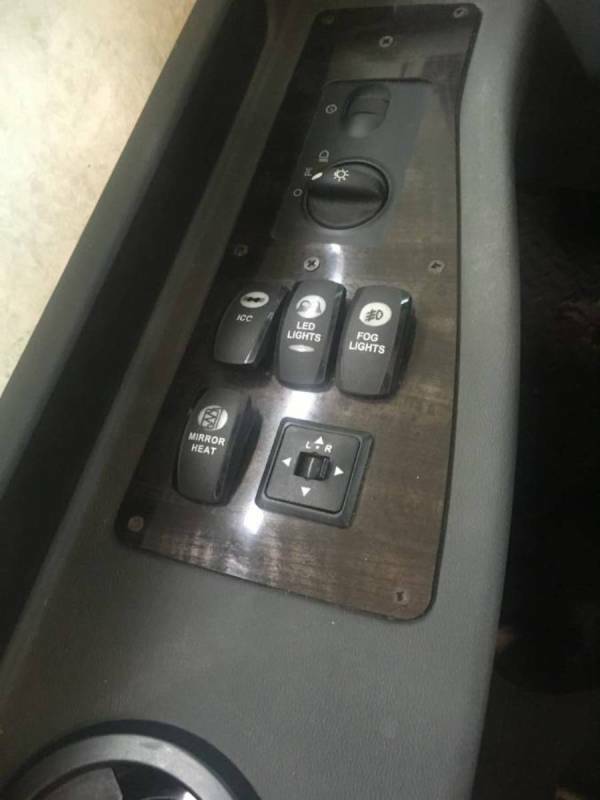 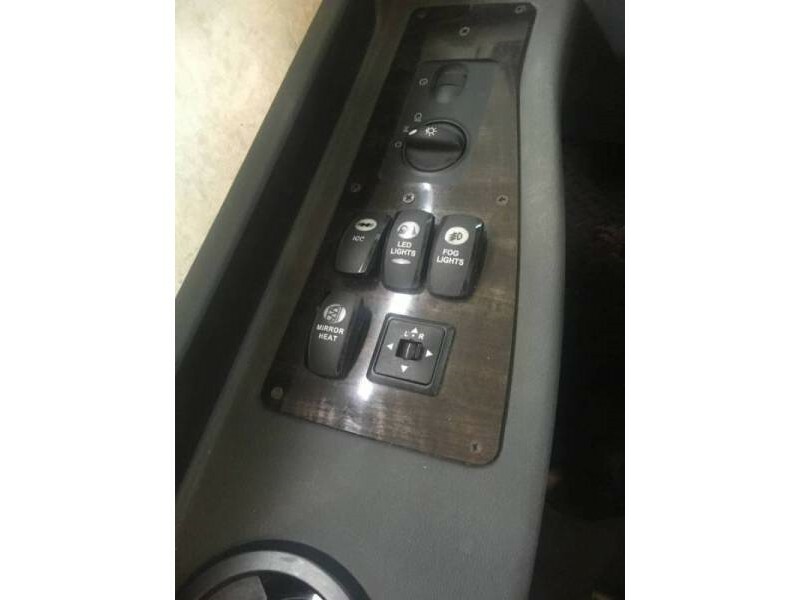 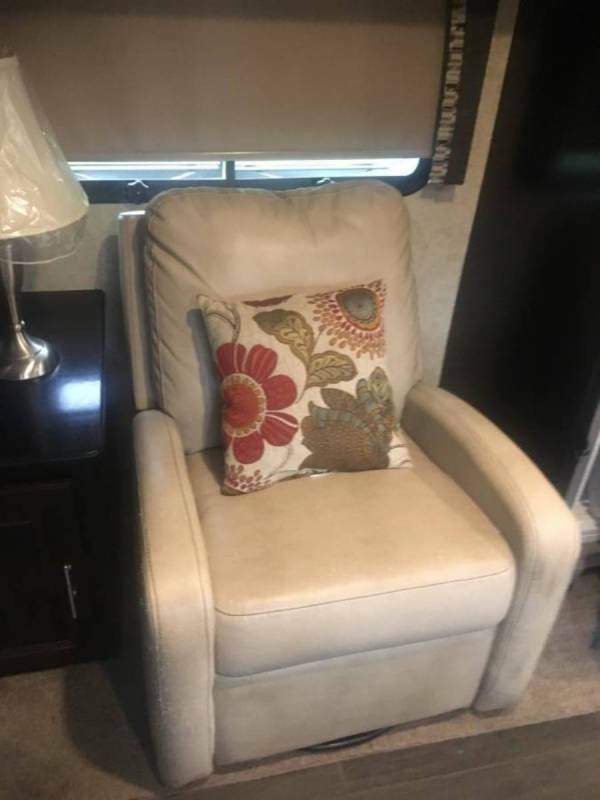 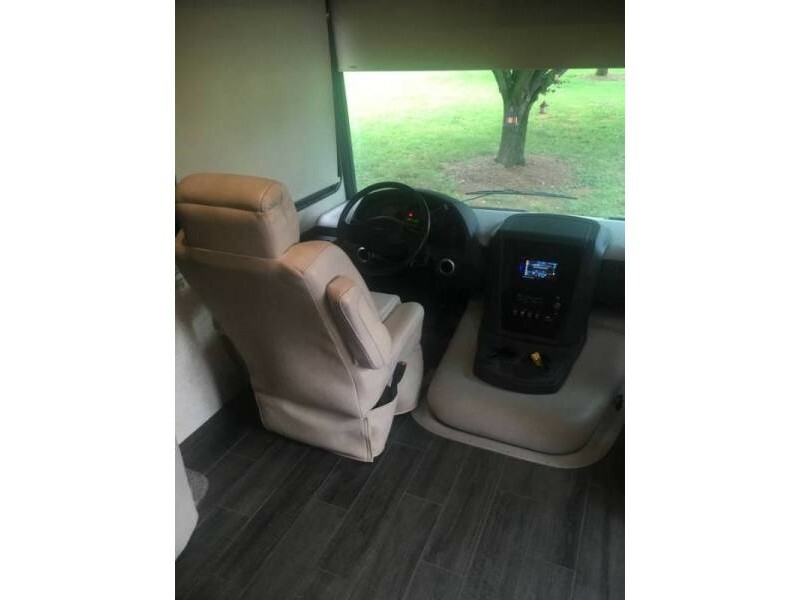 There are a few minor things wrong, small furniture imperfections, minor dent in a cargo door on the drivers side. 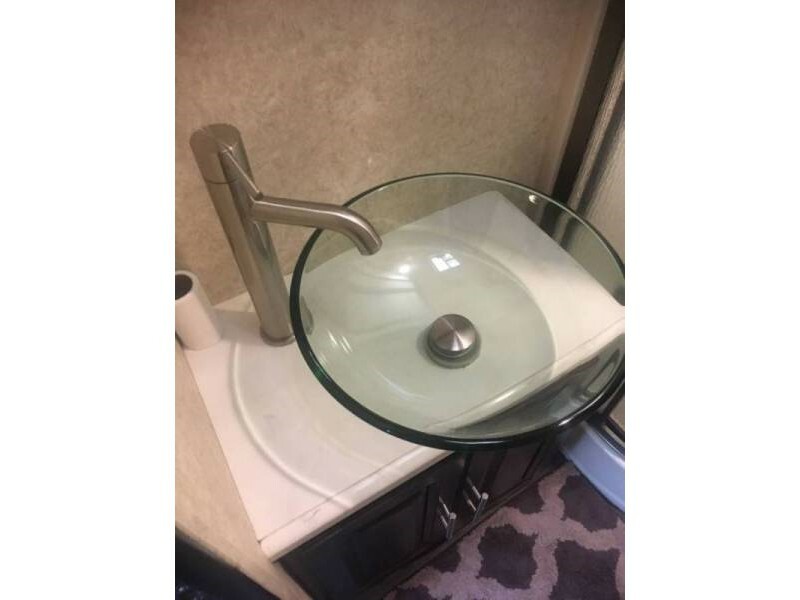 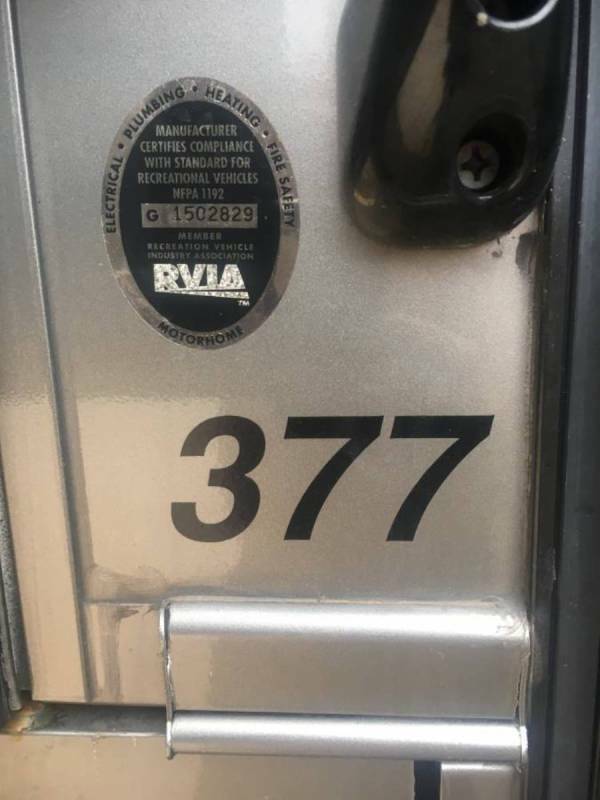 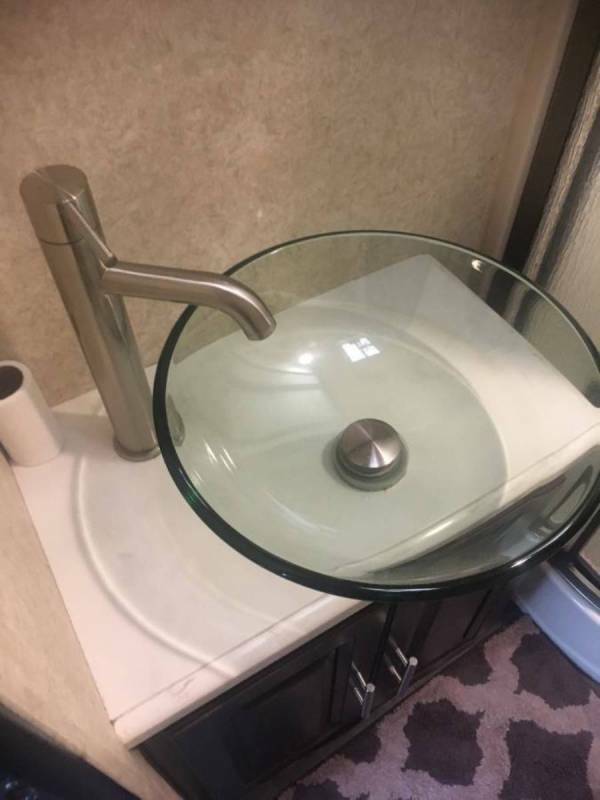 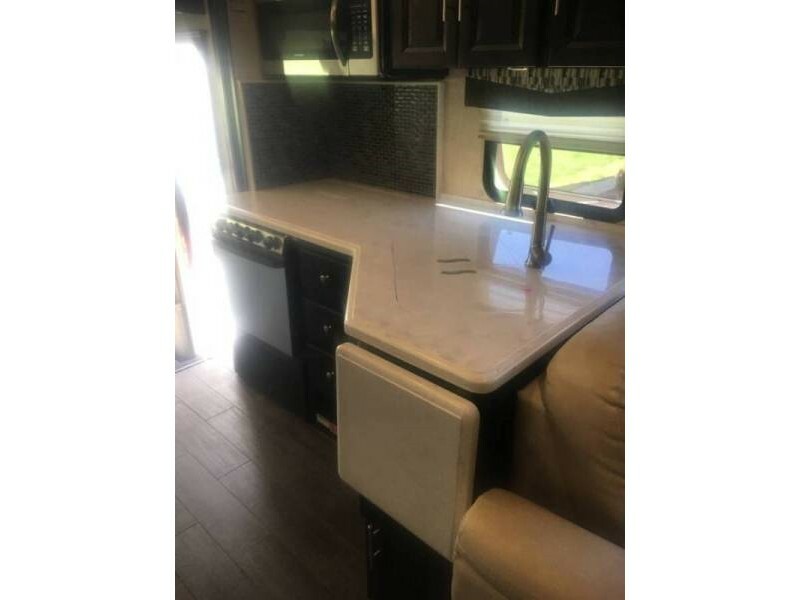 Other than that it is a great RV. 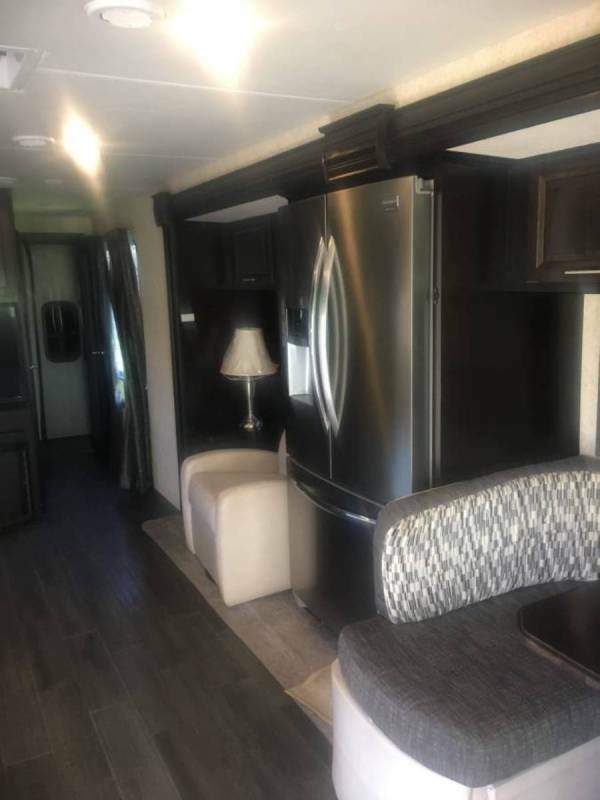 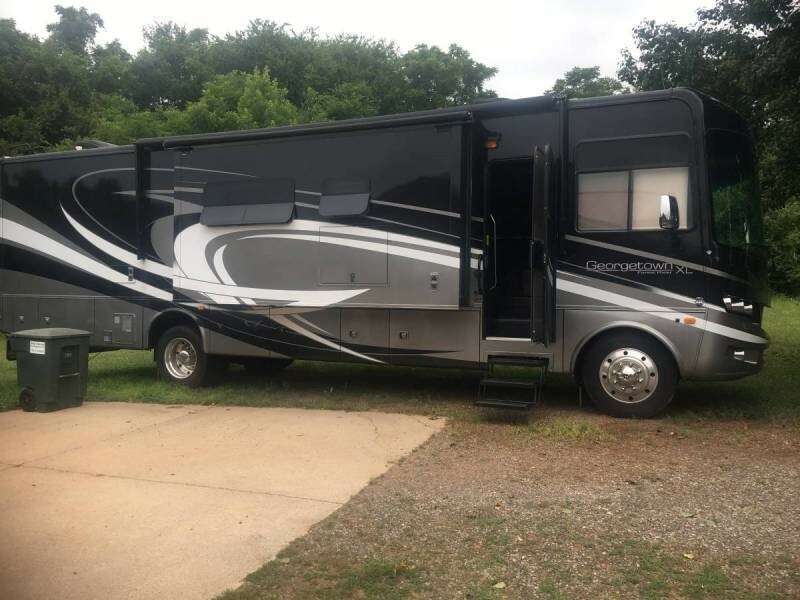 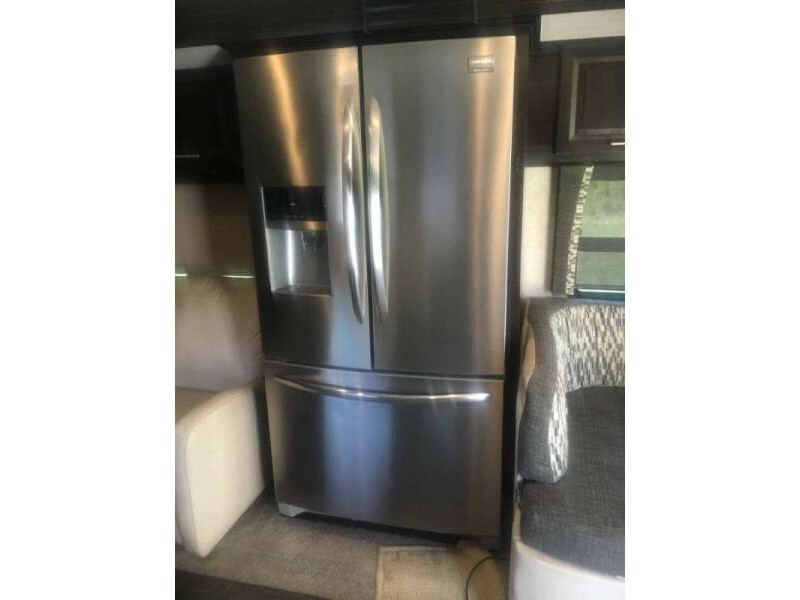 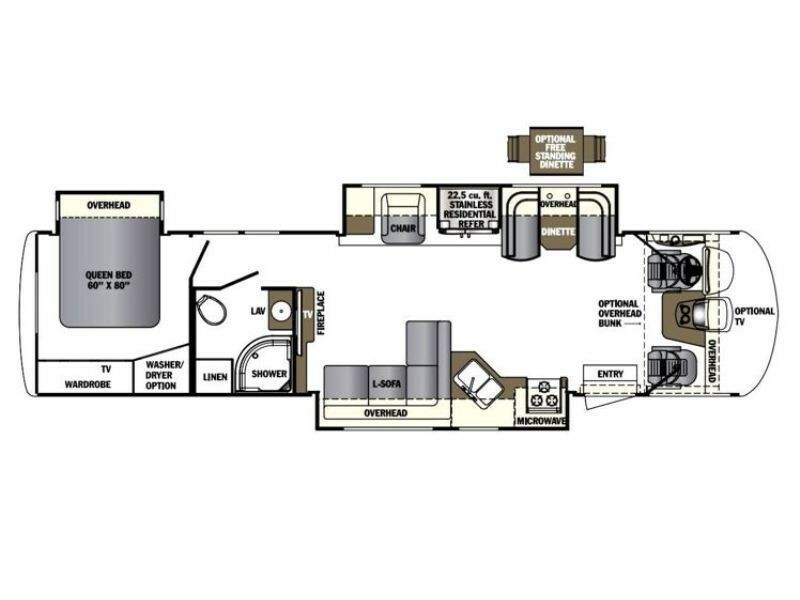 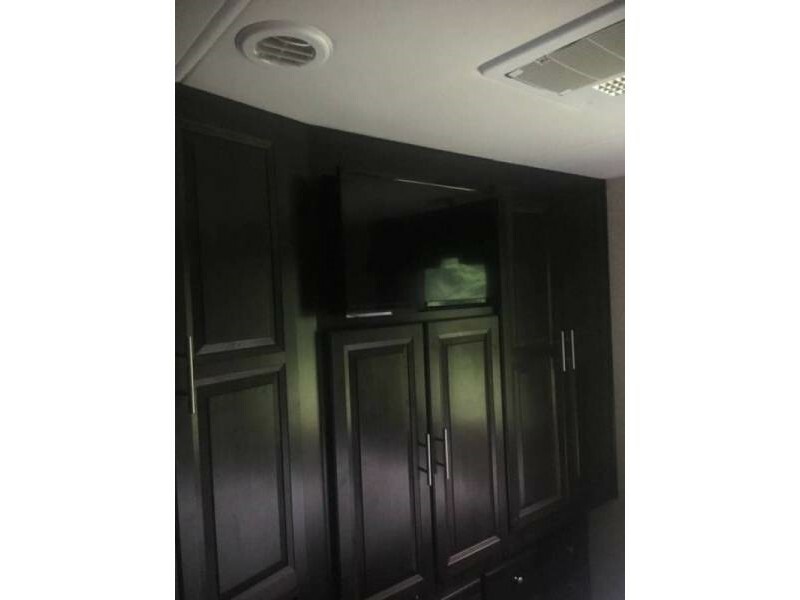 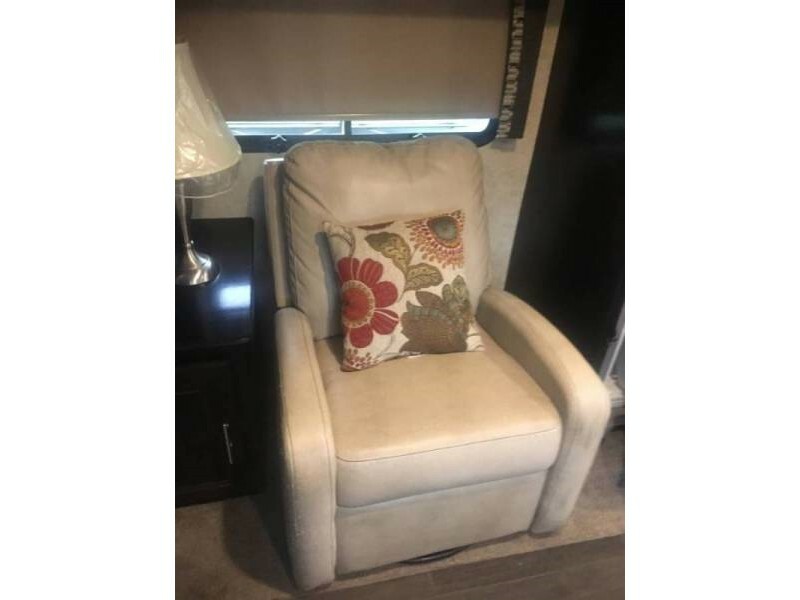 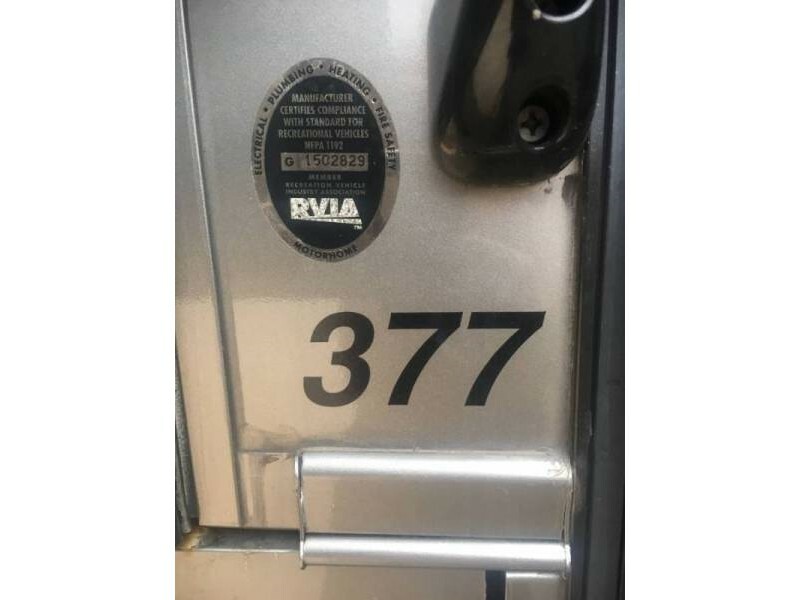 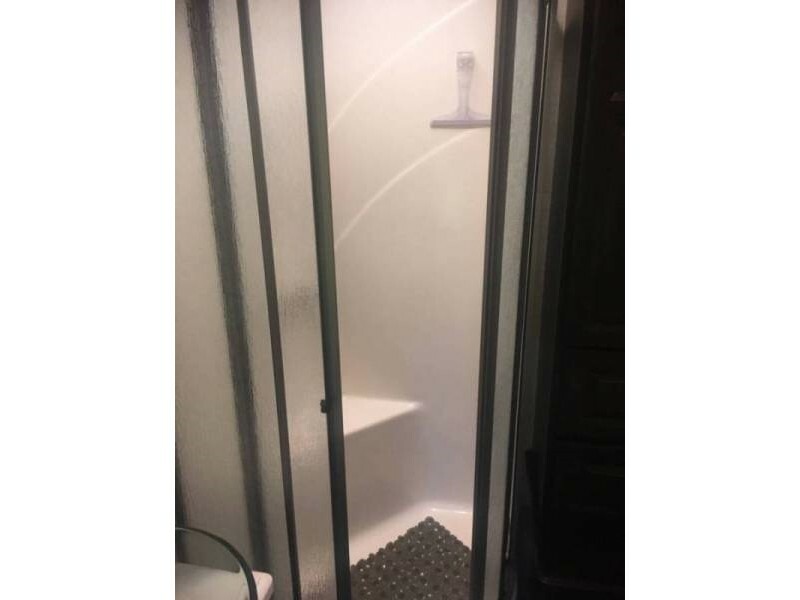 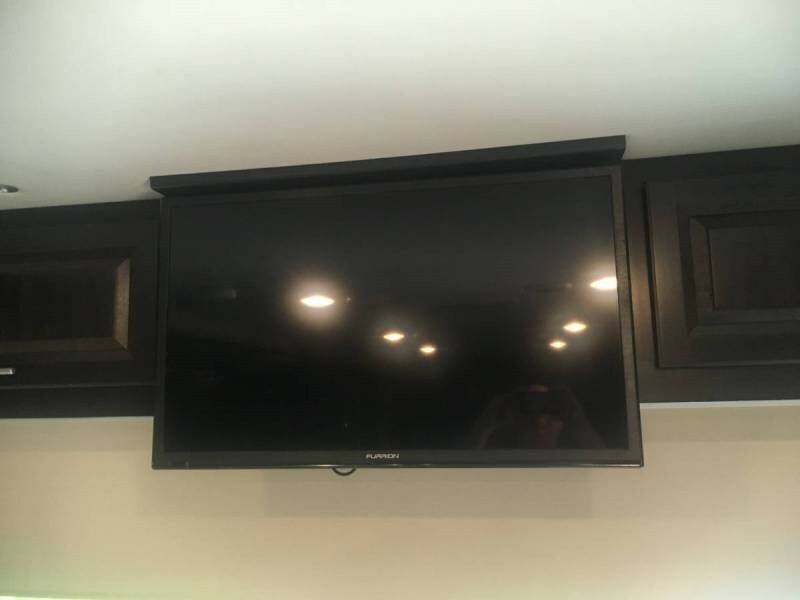 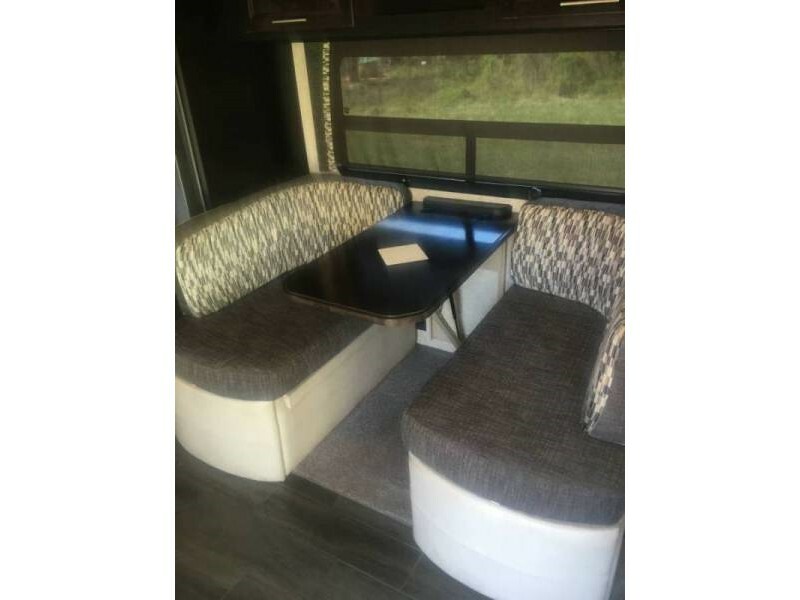 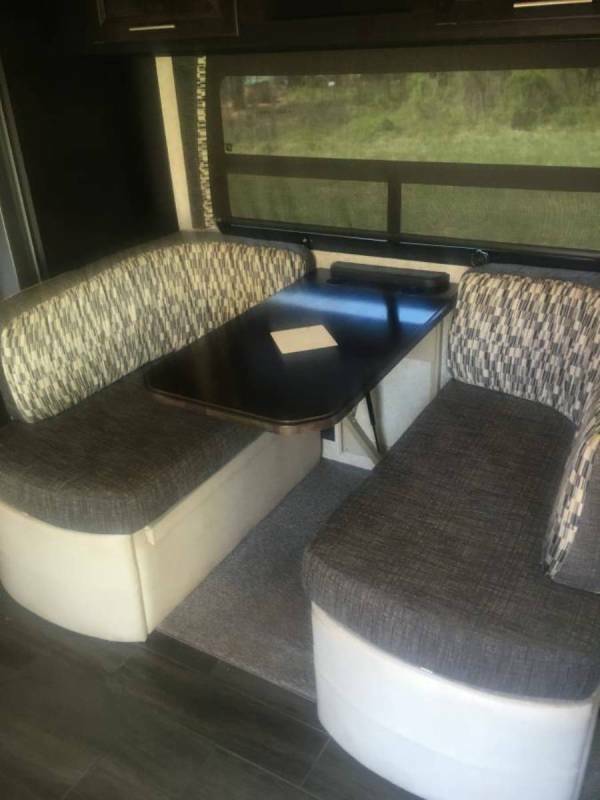 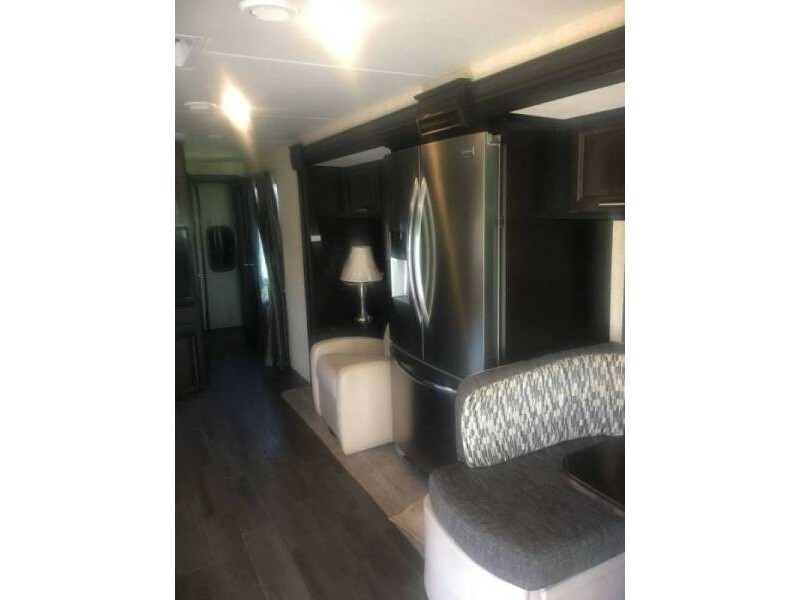 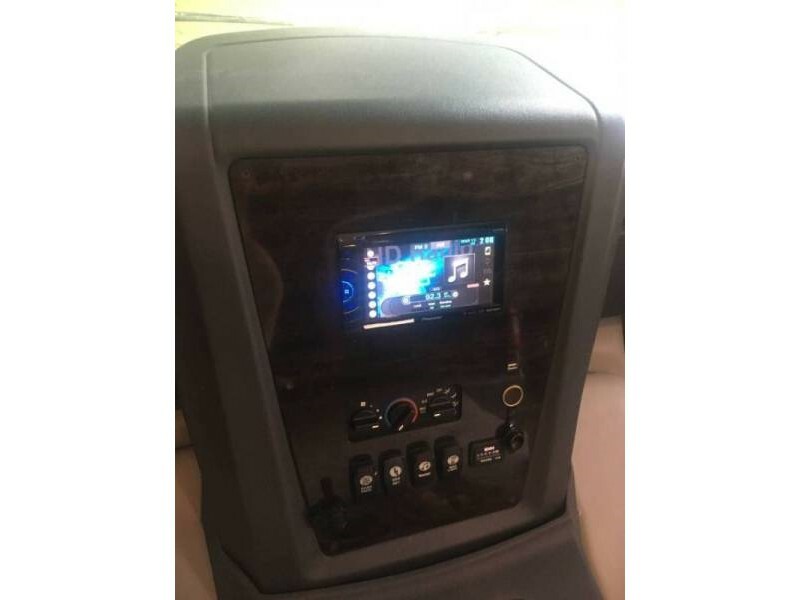 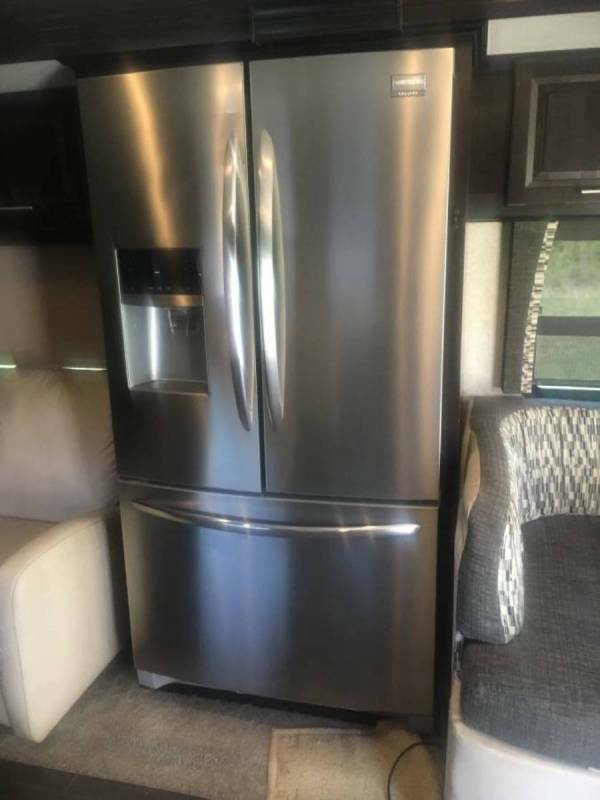 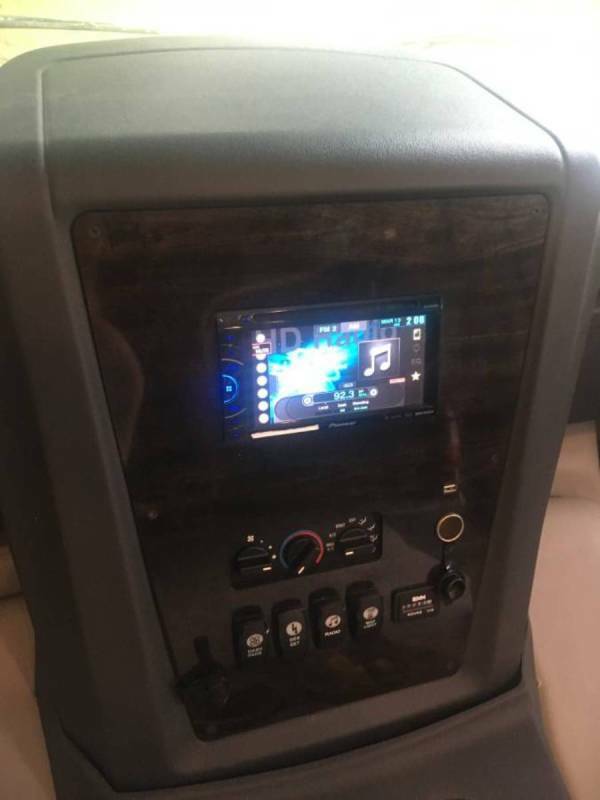 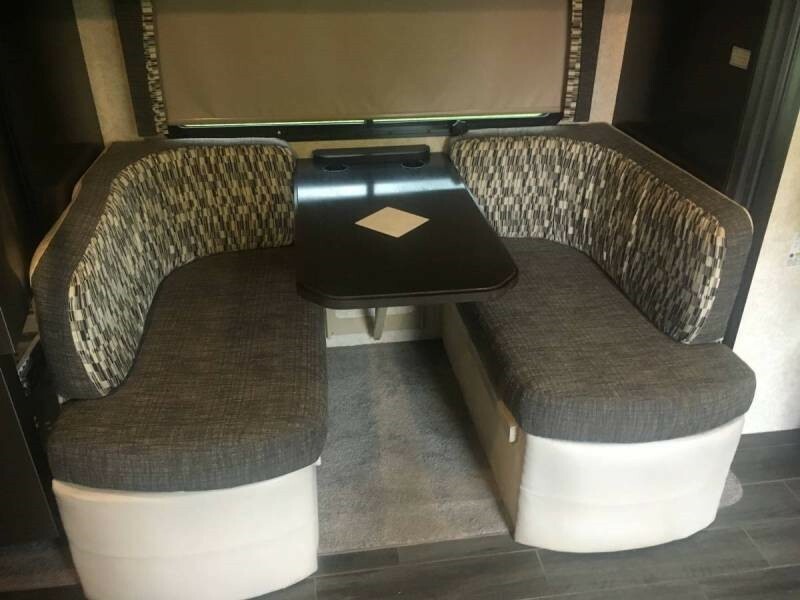 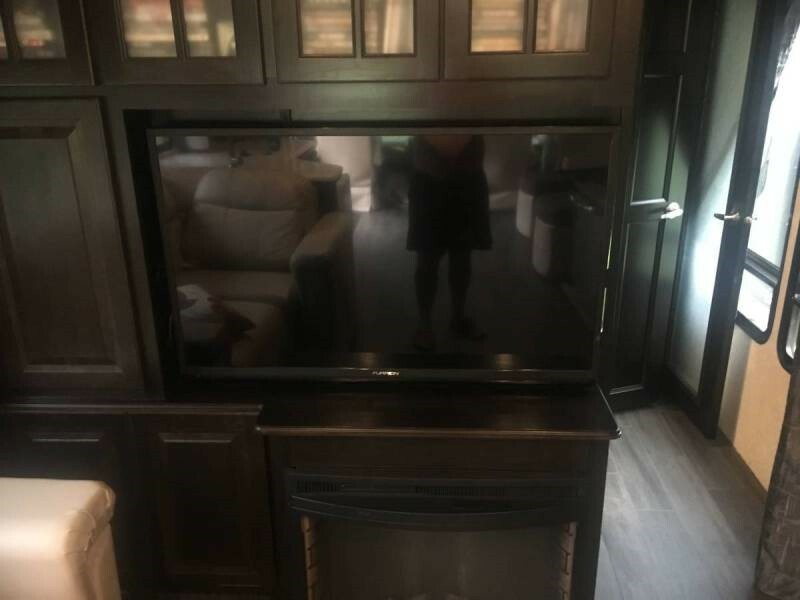 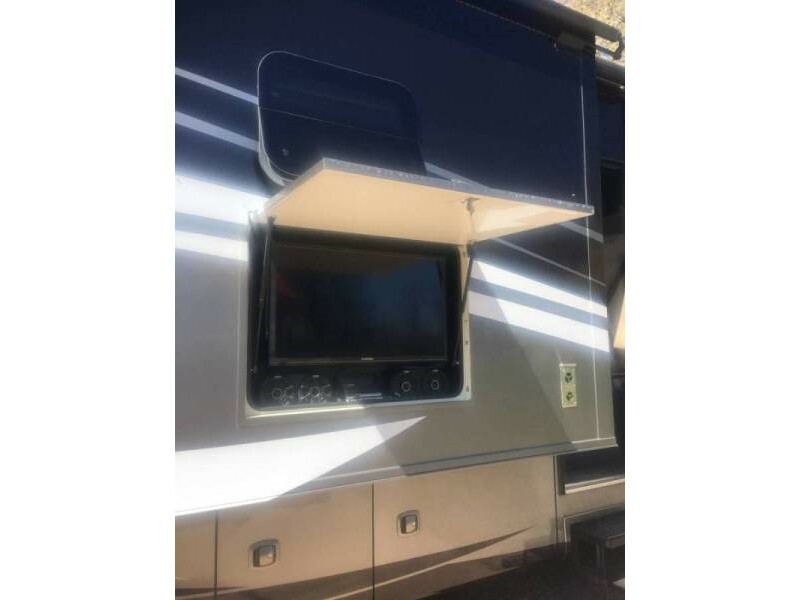 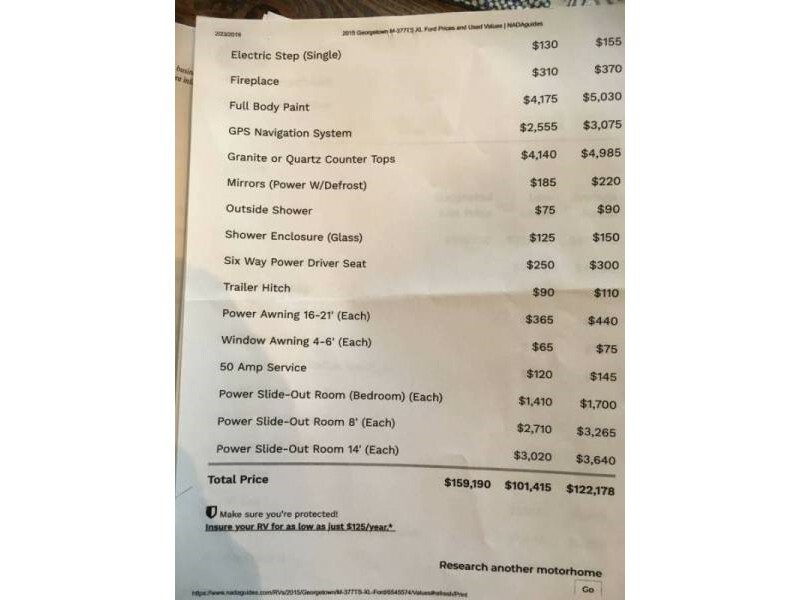 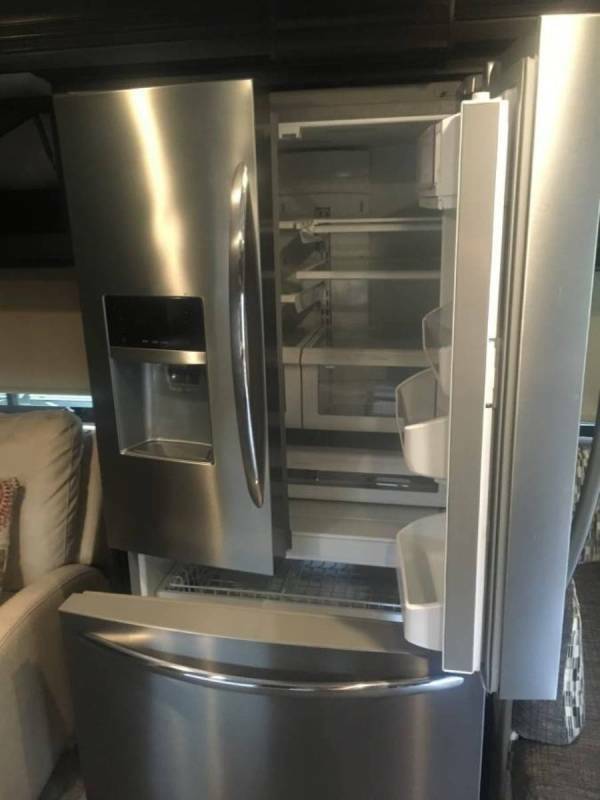 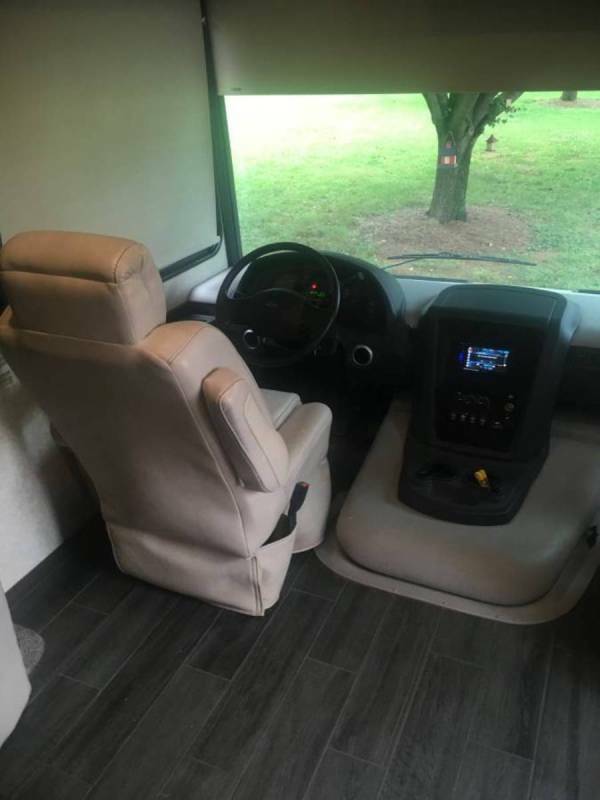 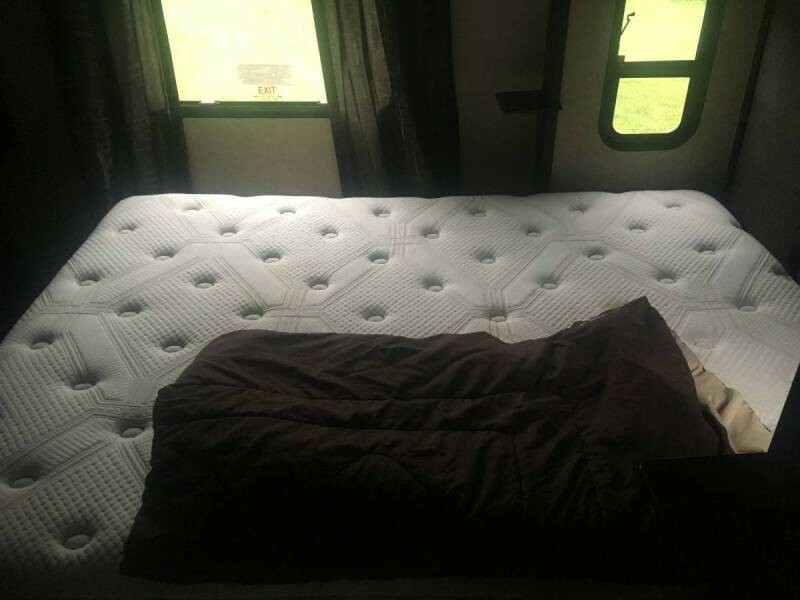 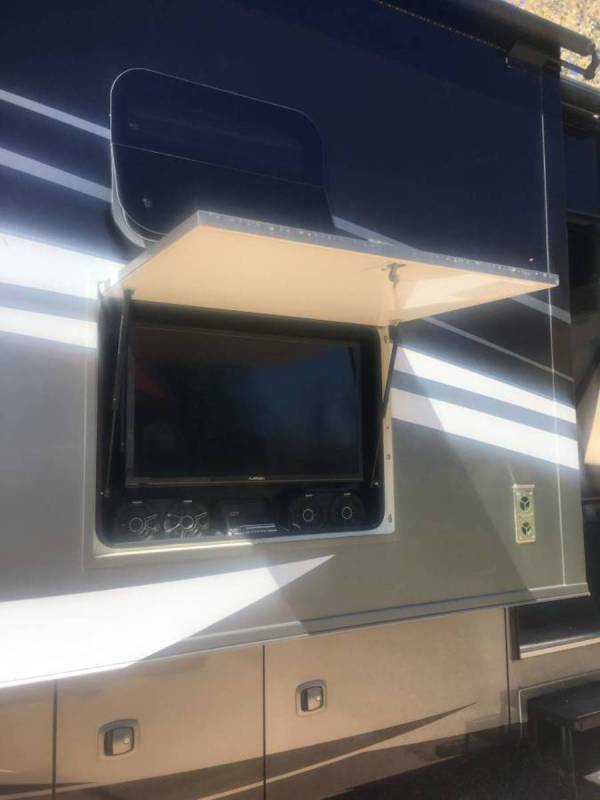 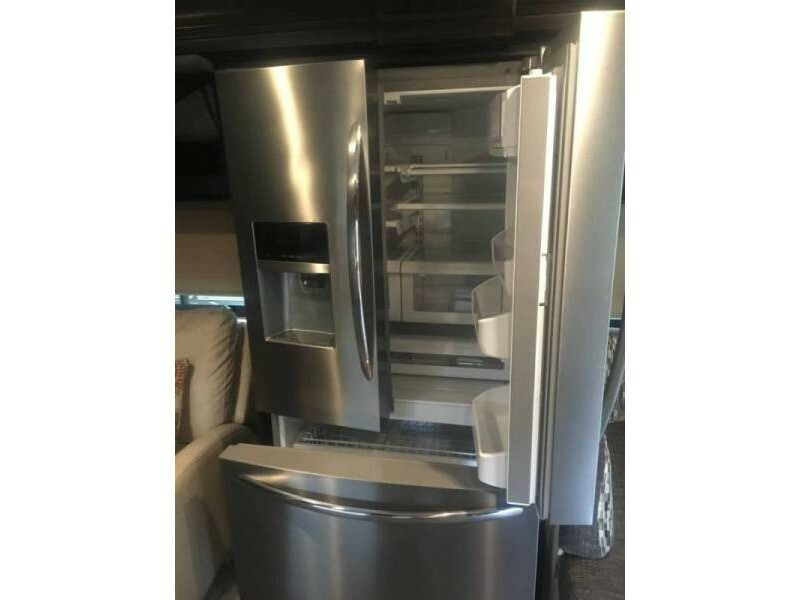 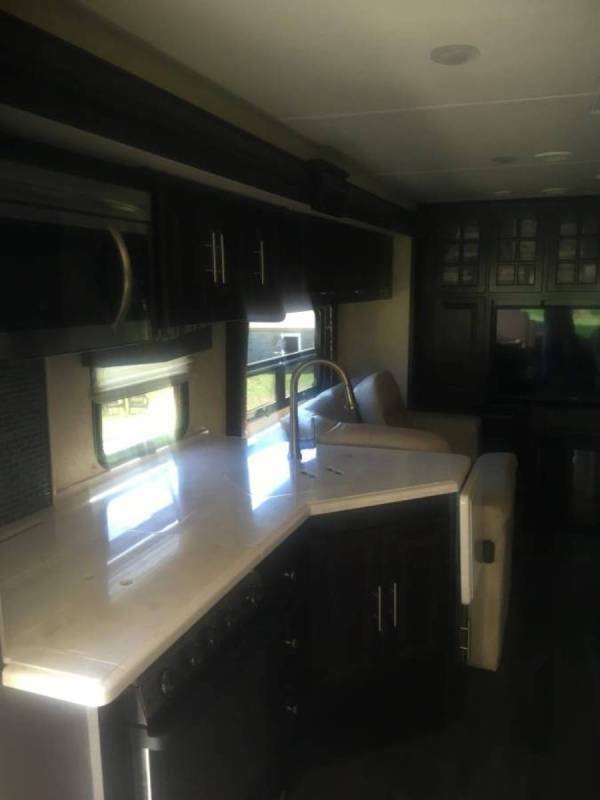 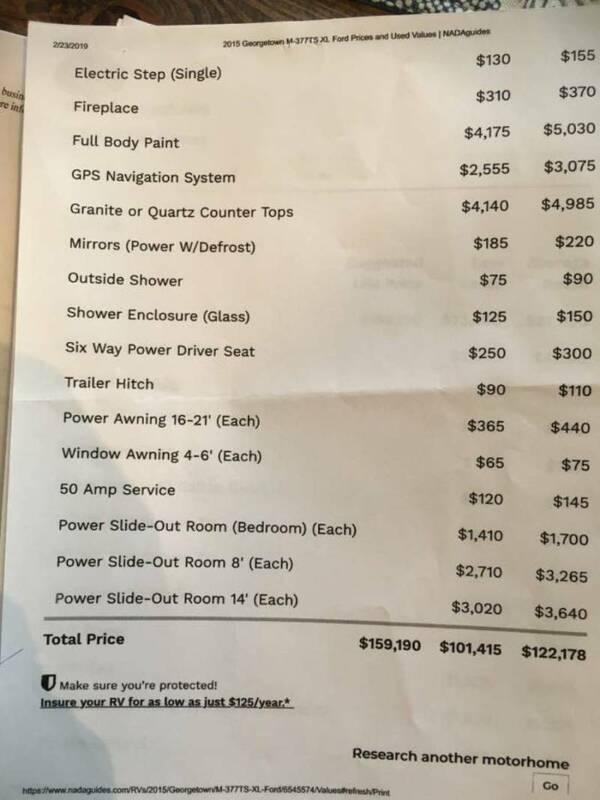 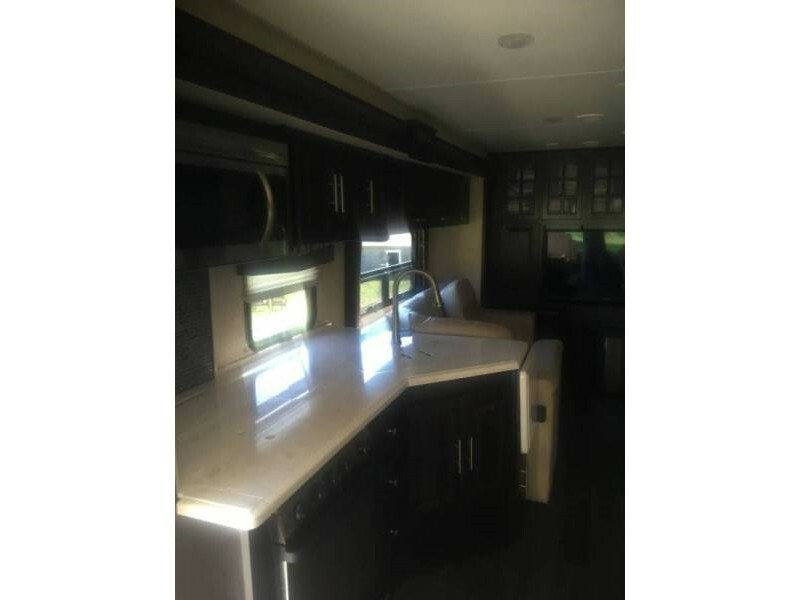 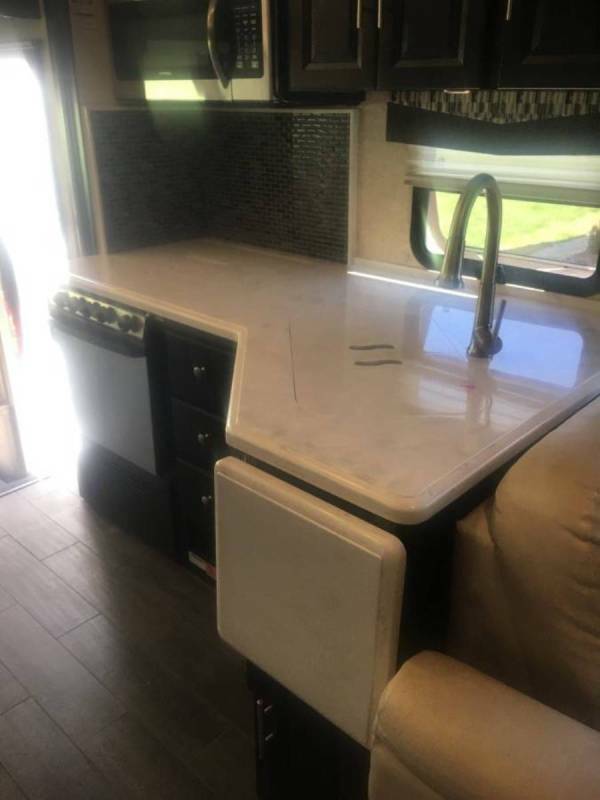 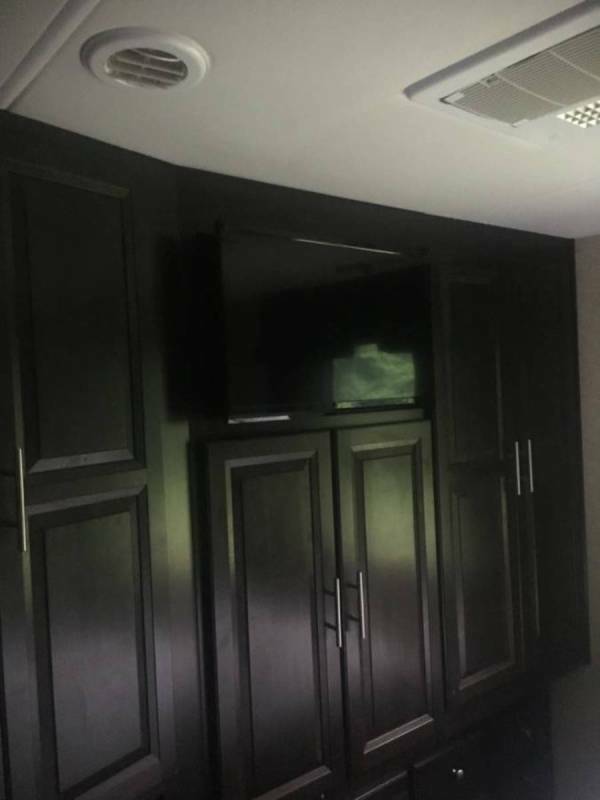 It has 3 flat screen TV's inside and one outside, Reese Hitch, Tile Upgrade, 6 way power drivers seat, side and rear view cameras, 24.5 LB gas tank, 5500 KW generator, more than enough storage, residential size fridge, 3 slide outs, automatic leveling, full awning, electric fireplace, dual AC and heat, queen bed in bedroom, 1 pullout full size sleeper in couch, kitchen table is a two short people sleeper, driver and passenger seat recliners turn around to add to the living room, dvd and cd player inside and out, cable hookup, will run on 30 or 50 amp, power foont sun and night time shades and much more.